Panda Condominiums by Lifetime Developments Coming Soon! Panda Condos is a new mixed-use slab-style residential condominium development coming soon to 20 Edward Street in downtown Toronto, Ontario near Yonge Street and Dundas Street West by Lifetime Developments. 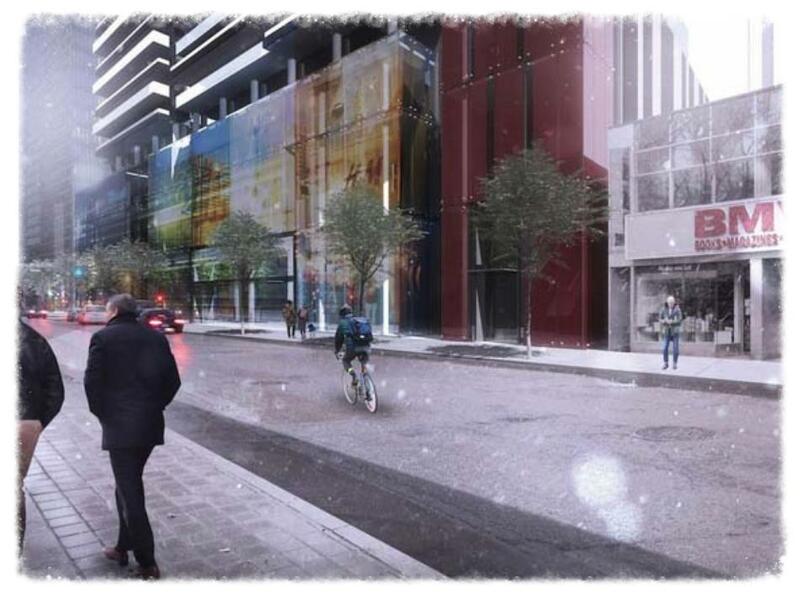 This was the former site of the World's Biggest Book Store and is proposed to be redeveloped into a 30 storey building with 572 dwelling units with commercial/retail located in the 3-storey podium designed by architectsAlliance. Lifetime Developments is an award-winning Toronto-based real estate development firm that purchased this site in order to proposed a mixed-use development with retail, office and residential components. They have been in business for over thirty years building commercial and residential properties all across the Greater Toronto Area. Lifetime Developments never take their clients for granted and believes in utmost customer satisfaction. They operate with integrity and honesty and "continues to set new benchmarks for design innovation and architectural excellence, exceeding expectations and inspiring new heights". Lifetime is all about creating, defining and inspiring. They have developed projects such as the Victory Condos by King and Spadina, the Yorkville Condos on Davenport, the Liberty Market Lofts and the Four Seasons Hotel and Private Residences which are all currently under construction. The award-winning architectural firm responsible for the design of Panda Condominiums is architectsAlliance. They have a team of 45 architects, designers and technologists who have worked on projects in Europe, United States and Canada. This firm is progressive, creative and innovators in their own right and have earned a reputation as one of the most innovative design firms in Canada. architectsAlliance is "a design-driven studio". They "encourage fresh thinking, honest questions and tough decisions". They "work collaboratively: every member of a project team – including our client – has a voice." Together, Lifetime Developments and architectsAlliance has collaborated to build and design the 30-storey mixed-used building located at 20 Edward Street in Toronto, Ontario which is about a block north of the Toronto Eaton Centre. Register with us today for more details on the Panda Condos 1st Platinum Access!